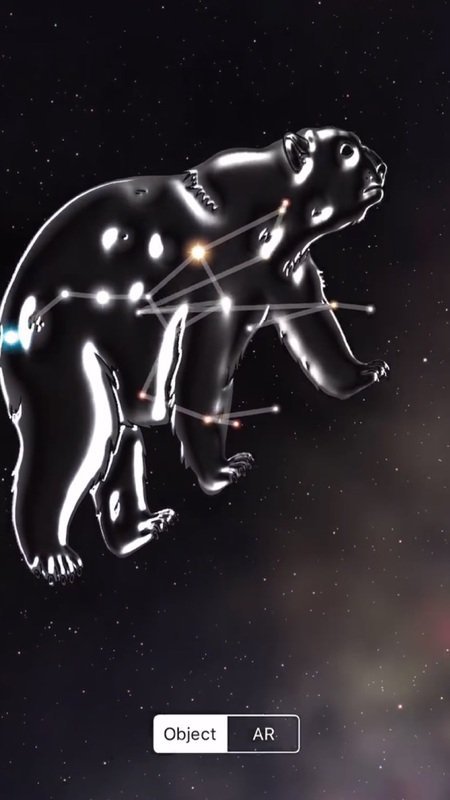 + Stars in AR! 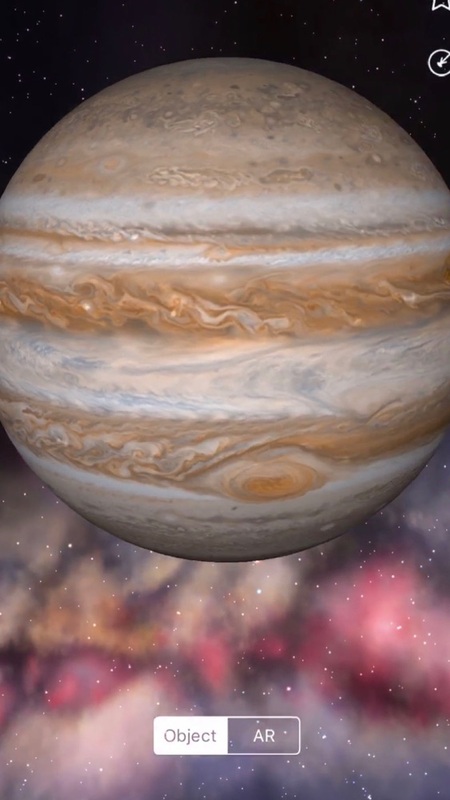 - We've now added Yellow Dwarfs, Orange Dwarfs, Red Dwarfs, Blue Stars, Blue Giants, Blue Supergiants, Red Giants, Red Supergiants, Brown Dwarfs and White Dwarfs to the Night Sky AR model catalog. Just double tap one of these stars in Sky View to be presented with a 3D Model. Place the model in AR or share it with your friends via USDZ! + Search for Stars by co-ordinates - Want to find a star just with the co-ordinates? Enter the co-ordinates into the Search field within Night Sky. Be sure to use the correct format, such as "2h31m49s 89d15m50s" for Polaris for example. + Moon Map Segmentation - when you tap Moon area names on the Moon Map, it's highlighted on the Moon Map. + Added the Shapely Attractor and Dipole Repeller to Sky View and Search. + Added a close button to the Celestial Compass - A common request to disable the compass on the screen quickly and conveniently. If you enjoy using Night Sky a great review on the App Store is always appreciated. If there is anything we can do to improve the experience for you, please reach out to the team who will be happy to help at Support@iCandiApps.com. + Accessibility Improvements - fixed menu spacing when text size is set to large in iOS accessibility settings. + iOS 10 bug fixes. We hope you enjoy using Night Sky! If you need any support or if there is anything we can do to improve Night Sky for you, please reach out to the team at Support@iCandiApps.com and we will be happy to help! Thank you for using Night Sky! + Improved Space Travel - Night Sky now animates the sky in days when exceeding 30000x past or future travel speed. + Sky View improvements - Sky View now fades in after launch, stars also have added twinkle! + Astrophotography Improvements - Astrophotography now works full screen on iPad. If you enjoy using Night Sky a great review on the App Store is always appreciated. If you have any questions or need support, please reach out to the team at Support@iCandiApps.com who will be happy to help! Happy Holidays and Happy New Year from Night Sky! Thank you to all of our users for supporting Night Sky in 2018, we look forward to bringing you many more exciting updates in 2019! - Enhanced Apple Pencil Support - Zoom into the depths of space with the new Apple Pencil, just double tap when browsing the sky! - My Sky Notifications iCloud Syncing - All of your My Sky Notification preferences now sync across all of your devices via iCloud. 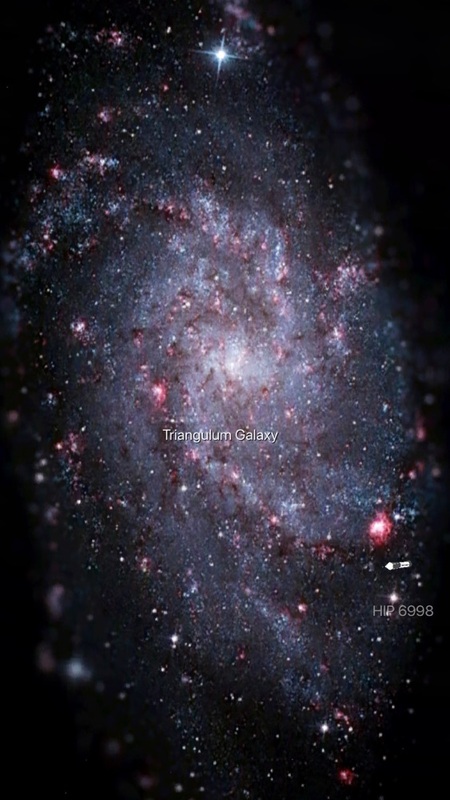 - Small and Large Magellanic Clouds - We've added beautiful graphics of the Small and Large Magellanic Clouds in the Sky View. - Additional bug fixes and minor enhancements. Thank you for using Night Sky! If you enjoy using Night Sky a great review on the App Store is always appreciated. If you need any help or if there is anything we can do to improve the experience for you, please reach out to the team at Support@iCandiApps.com who will be happy to help! + Support for the new iPad Pro - Night Sky has been optimized for the new iPad Pro. + AR and Sky Blending improvements - AR and Sky Blending have been improved for the new iPad Pro, and iPhone XS, XR and XS Max to take advantage of better camera technology. + Additional bug fixes and enhancements. 6.1.1 - Fixes crashing bug, our apologies to those users affected. - "Hey Siri, What star is that?" - in addition to saving your favorite objects into Siri, you can now simply hold your device to the sky and ask Siri "What star is that?". Siri will then tell you what you are pointing at without having to launch Night Sky! A super quick and convenient way to identify the brightest stars, and planets visible to the naked eye! - USDZ support for all satellites - In addition to USDZ planet support, we now support all satellites. 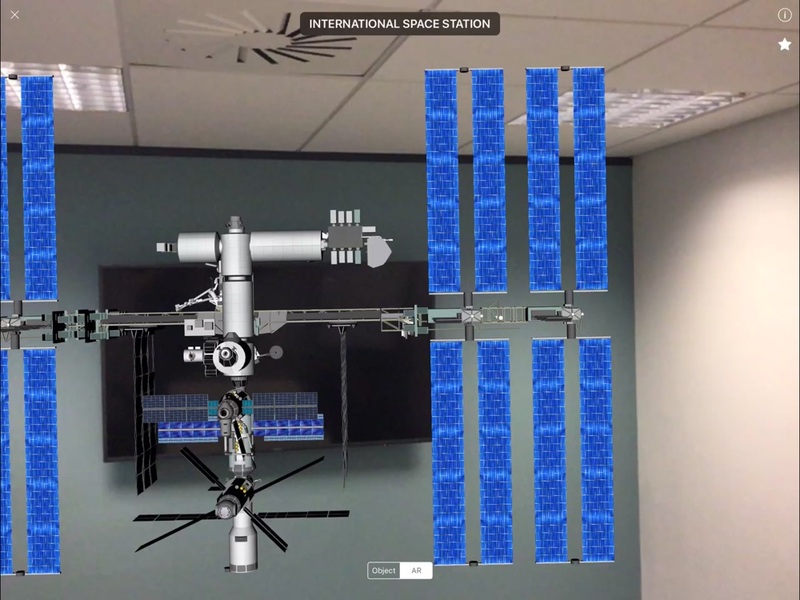 Send a detailed AR model of the International Space Station or any other satellite to your friends in iMessage! 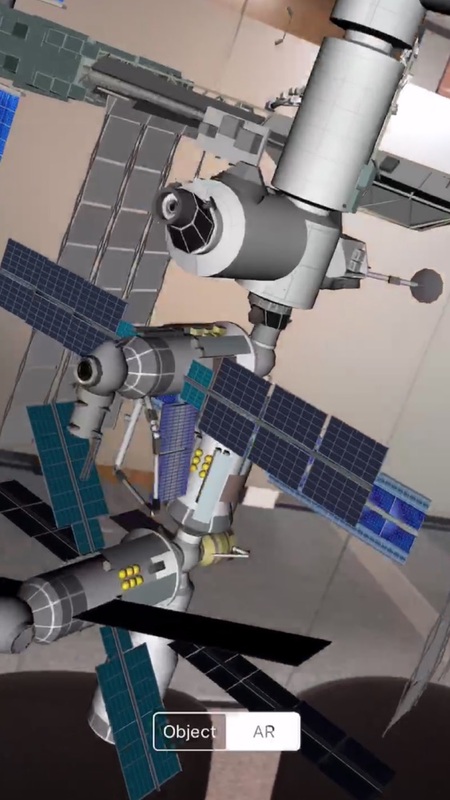 - ISS and Iridium Flare flyover notification improvements - Night Sky requires location preferences set to 'Always' to accurate predict ISS/Iridium Flare notifications. We've improved the messaging of this within the app. - Further speed optimisations - Night Sky launches even quicker than in version 6.0! - Bug fixes and minor UI enhancements. If you enjoy using Night Sky a great review on the App Store is always appreciated. If there is anything you need help with or we can do to improve the experience for you, please reach out to the team at Support@iCandiApps.com who will be happy to help. WELCOME TO NIGHT SKY 6! 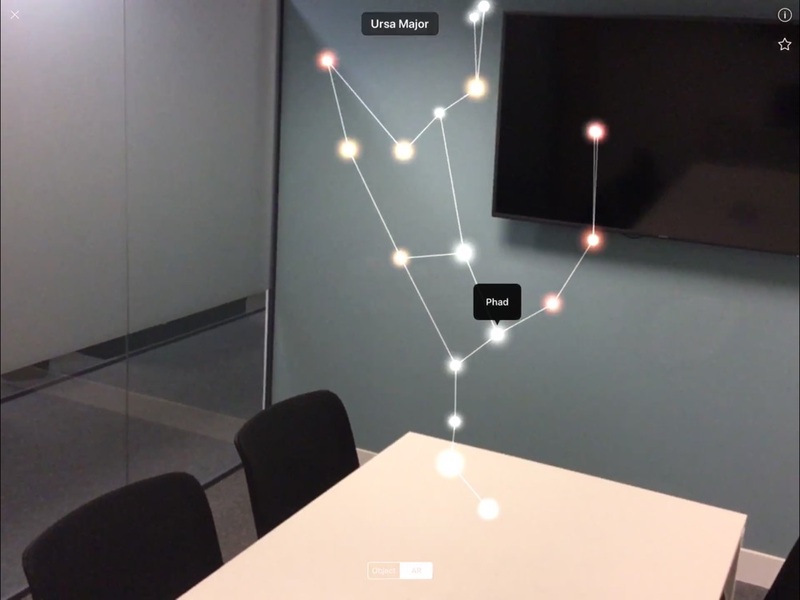 - NEW - AR GLASS CONSTELLATIONS WITH STAR DEPTH - Night Sky 6 brings all new even more detailed Glass Constellation models! Pull your favourite constellation from the sky and see it in 3D or AR enabling you to see the depth and distance of the stars behind it! 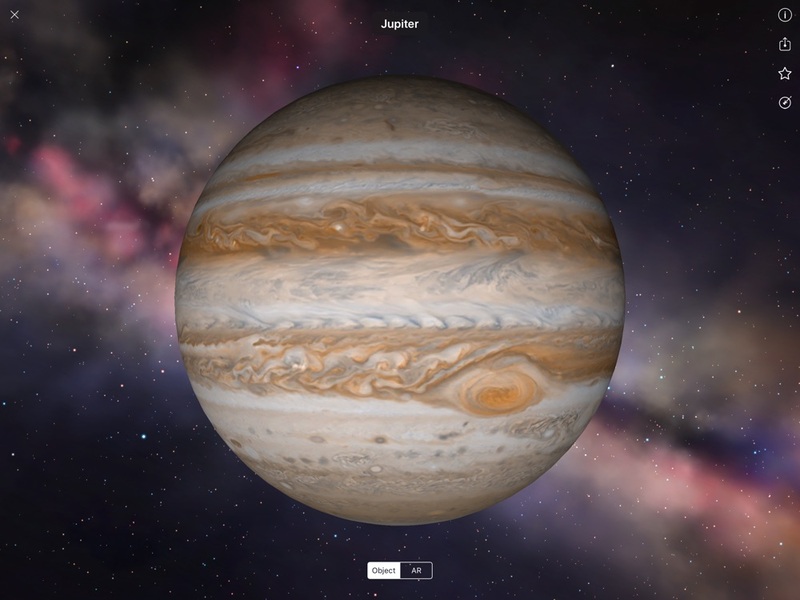 - NEW - PLANETARIUM VISITS - Find your nearest local planetarium from the new Planetarium feature. 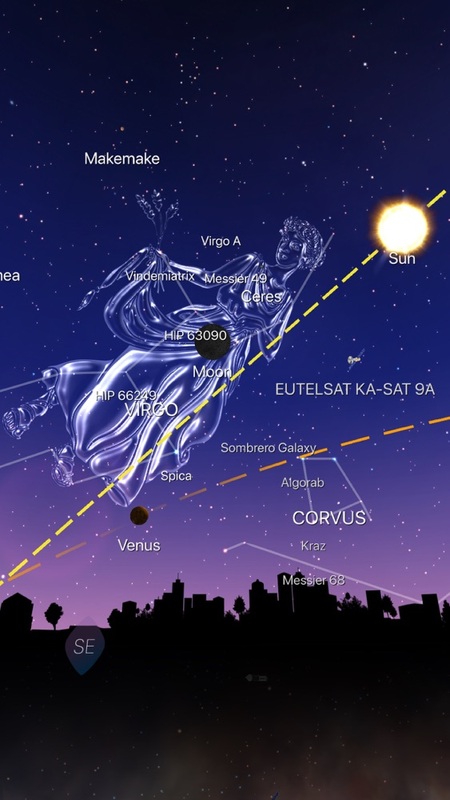 - NEW - NIGHT SKY FOR YOU - Night Sky suggests Night Sky Tours for upcoming trips you may have coming up in your calendar. For instance a camping trip, or trip to the beach. Night Sky will generate this tour in the background and have the tile available for you to watch prior to your trip! - NEW - MOON MAP - Night Sky now contains a highly detailed map of the moon. Just zoom into the Moon to see crater names and area names across the lunar surface. - NEW - SUPERFAST OPTIMIZATIONS - We have optimized Night Sky start up making load time 4 times faster. On iOS 12 on new devices Night Sky loads almost instantly, speed is also drastically improved on iOS 11/10 on all devices. In app animations have at least been doubled in speed for instant access to menus. Night Sky 6 flies compared to the previous release. 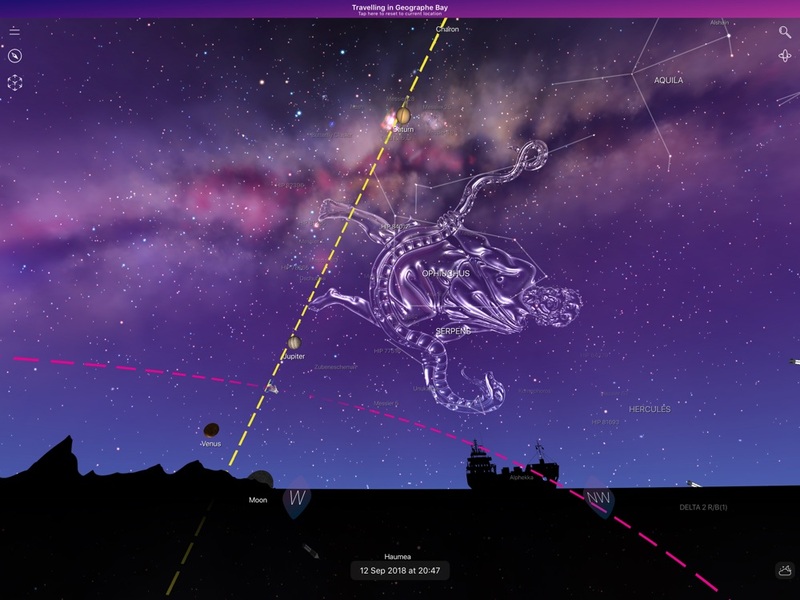 - NEW - TRAJECTORIES - Night Sky now displays trajectories for planets, the Sun, and Moon as well as satellites. These are displayed when an object is tapped in Sky View. - NEW - IMPROVED SEARCH - Night Sky now highlights items above the horizon and gives detail on rise and set times from search. Search also saves your previous searches making it super quick to access objects your regularly search for! - Main menu is clearer with better spacing and sub menu colour. - Higher resolution name place database. Displays more accurate location names. - Numerous bug fixes and additional minor enhancements. If you enjoy using Night Sky, a great review on the App Store is always appreciated. If we can be of any further assistance please reach out to the team at Support@iCandiApps.com who will be happy to help! Thank you for using Night Sky. - Meteor Shower Correction - In the past week Night Sky sent 2 push notifications about meteor showers that were inaccurate to some of our users. We're sorry for this. We quickly investigated and found this was caused due to a miscalculation in converting degrees to radians. We've corrected it in this update and going forward, all meteor shower notifications will be accurate. We've also made the meteor shower notifications even better with new meteor shower animations on Sky View! - Meteor Shower support on Apple Watch. You can now use your Apple Watch to locate meteor showers when notified! 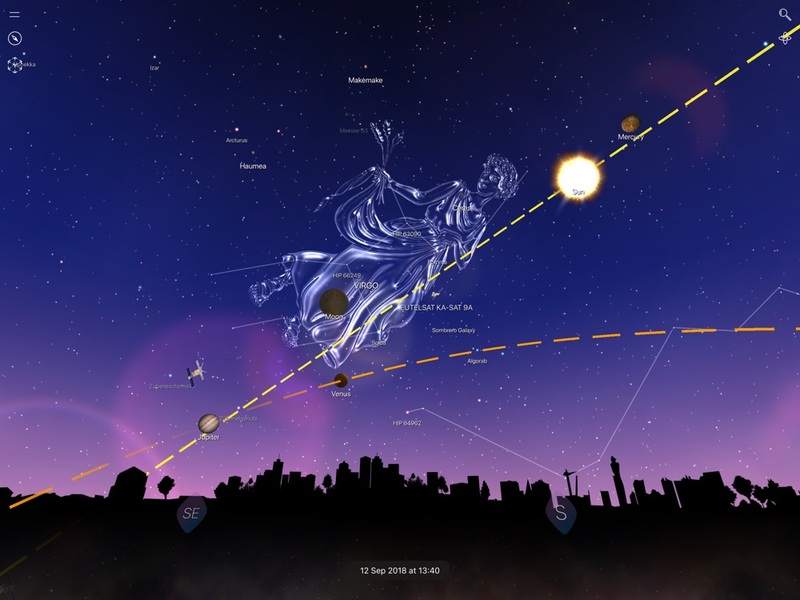 - Night Sky News interface enhancements. If you enjoy using Night Sky, a great review on the App Store is always appreciated. If you have any issues or need support, please reach out to the team at Support@iCandiApps.com who will be happy to help. - Night Sky News - We set a target here at Night Sky, for Night Sky to become your 'go to app for all things space', and we're committed to delivering this experience. We've rewritten our news interface, and assembled a team of highly qualified editors - all renowned astrophysicists and educators, who will be working to bring DAILY original content in our all new 'Night Sky News'! -'What to see tonight' - observing highlights for the night ahead. -'On this night' - historic flashbacks to major space events from the past. -'Meet the expert' - interviews and bio's of experts in astrophysics, giving you an insight into their specific field of work. -'Night Sky stories' - your stories using Night Sky, share your personal experiences from discovering a constellation for the first time, to using the app on that romantic first date! -'Your questions answered' - your space questions answered by our experts, and shared with our community, covering topics useful for all. -Deep Sky Linking - We've added the ability for our editors to deep link into the Night Sky app, so if you're reading an interesting article on Mars for instance, you can tap the deep link within the article to locate Mars immediately!  -Rich content - our articles support animated gifs, emoji, and beautiful artwork. -Bookmarking - love an article? Save it to your Night Sky News bookmarks. If you have an interesting question or story about Night Sky you would like to see published, please email Enquiries@iCandiApps.com. Some articles will require a Premium subscription. - New main menu - items on the main menu have been arranged into groups - 'Augmented Reality', 'Local to Me', 'News', 'Exploring the Sky', 'Settings' and 'Help'. This makes it easier to find the features you want. Thank you for using Night Sky. If you enjoy using Night Sky a great review on the App Store is always appreciated. If there is anything you need assistance with, please reach out to the team at Support@iCandiApps.com, who will be happy to help. 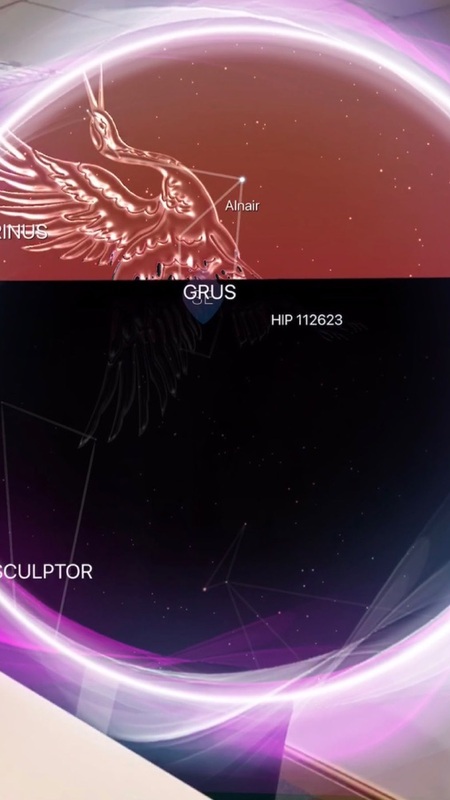 - AR Celestial Compass - We've added a new feature to AR mode, the AR Celestial Compass. 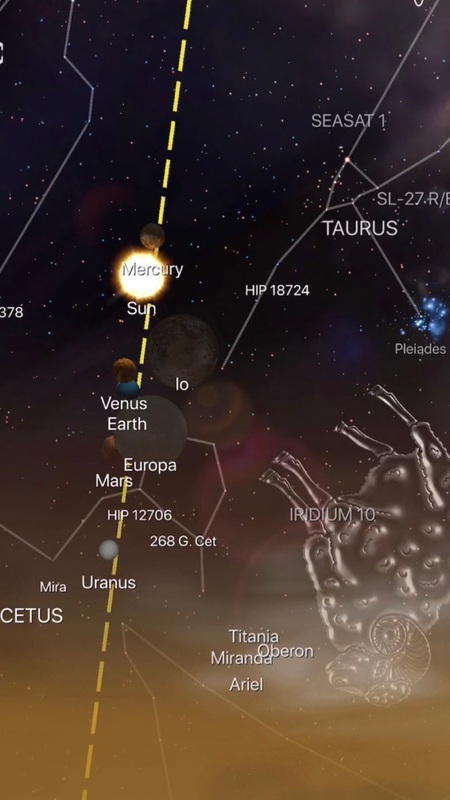 Simply lower your device whilst in AR mode, and all the currently visible planets and major stars surround the AR Celestial Compass. 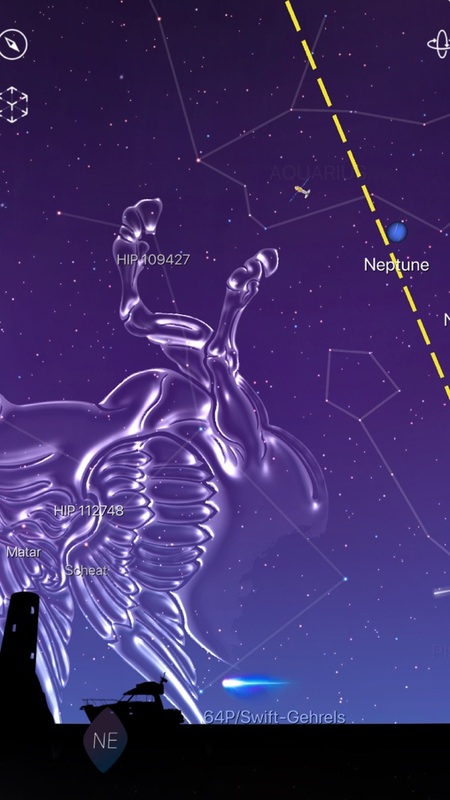 This allows you to see where certain celestial objects are around you before looking up into the Night Sky. We've even added an option in Preferences to permanently show the AR Celestial Compass in normal Sky View mode. A useful alternative to seeing through the Earth to the opposite hemisphere. - Tesla Roadster & Starman! - We've added Tesla Roadster tracking! On February 6th SpaceX launched a Tesla Roadster into space. You're now able to see this in Sky View. Just search Tesla Roadster in search to be directed to the object. - Humanity Star - Launched on January 20th, the Humanity Star is visible with the naked eye. We've added tracking for this object at the request of many of our users. - Environment Based Horizon Lines Cities - We've added silhouetted horizon lines for the following major cities: Chicago - US, Cupertino - US, Las Vegas - US, Los Angeles - US, New York - US, San Francisco - US, Birmingham - UK, Edinburgh - UK, London - UK, Paris - France, Rome - Italy, Madrid - Spain, Moscow - Russia, Novosibirsk - Russia, Beijing - China and Sydney - Australia. These will appear when you're in that city, when you use World Traveller, or when you generate a custom tour for that location. - Meteor Shower Notifications - A long overdue feature but it's finally here, Night Sky will now notify you of meteor showers above. To enable these notifications, just make sure you've selected Meteor Showers in My Sky Notifications. - Real Sky Representation - We've added this option in Preferences, when turned on planets and satellites appear more their actual visible size from Earth. They will look like bright stars in Night Sky. When zooming in this will reveal more detail. You can leave this feature off for quicker identification of objects. - Accessibility - We've improved support for Larger Text. When Larger Text is enabled in iOS settings, Night Sky now dynamically adjusts the main menu items to your text size preference. 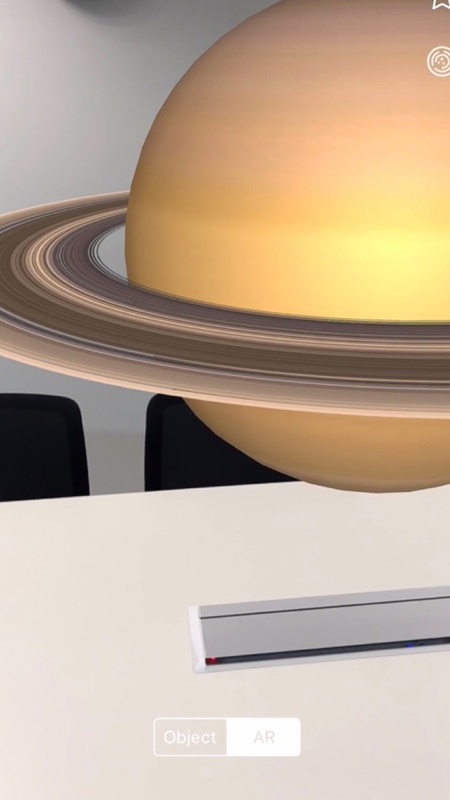 - AR Sky Blending - Night Sky now intelligently identifies the real sky from the objects around it. 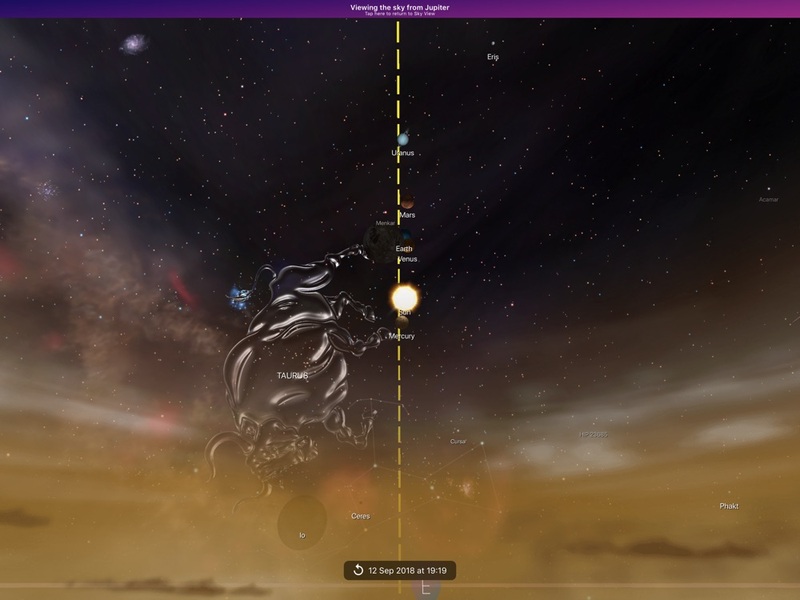 It then blends the sky map into the sky automatically, hiding the star map behind objects in the foreground. A super intelligent AR experience! Just tap AR in Sky View to experience this. 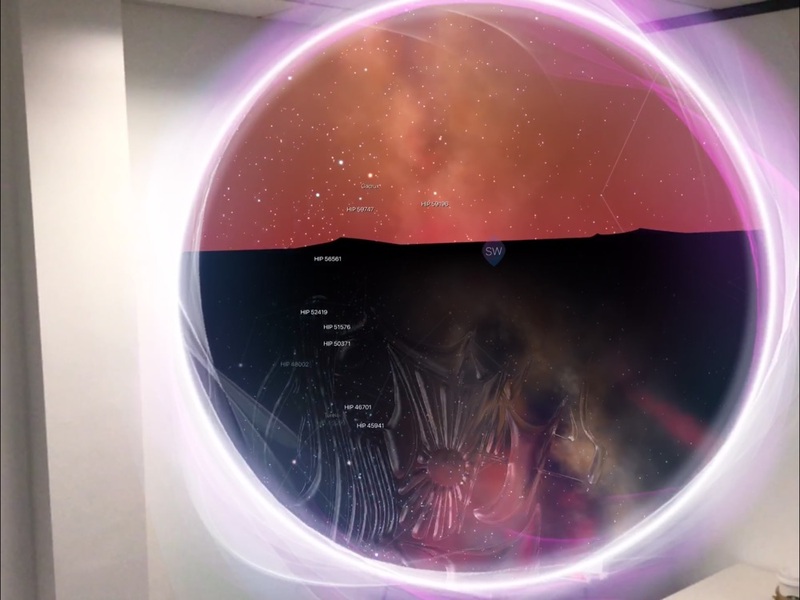 - AR Dark Sites - We're bringing Night Sky Community into AR. Great nearby Dark Sites contributed by our community now appear in AR mode! - Apple Watch Complication - We've fixed a bug which was causing complication customizations not to update correctly. If you customize the complication, please run the Apple Watch app for an immediate update. Thank you for using Night Sky and helping make it get 'Best of 2017' on the App Store! We're grateful to all our users worldwide for your continued support! - Customize Apple Watch complication. You're able to customize objects that show on the Apple Watch complication within settings in Night Sky on iOS. Choose the Moon, planets, the ISS and now even Iridium Flares! - Good, Fair or Poor stargazing conditions are now indicated on Sky View with a small icon. 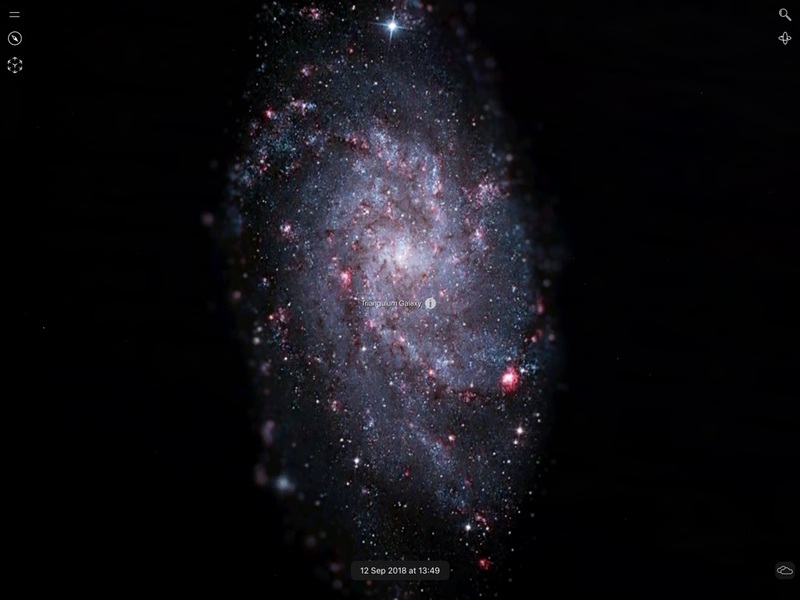 - Instant Tonight Tour - Get an instant Tonight Tour within Night Sky Tonight. Just tap the Tonight Tour icon in top left of Night Sky Tonight and get a full tour for whats happening for your location for the night ahead! - Added Nereid (Neptune's third largest moon) to the Grand Orrery and Sky View. - Added Charon (Pluto's largest moon) to the Grand Orrery and Sky View. - Made it more obvious how to delete custom My Sky Notifications. (Swipe right to left, then tap Delete). - Added Haptic Feedback to the Light Spectrum Array dial. - Fixed Sky View bug on Apple Watch Series 3. - Added the Ecliptic. View the ecliptic line in Sky View. To turn this on go to Preferences. - Added full professional Turkish localization. To view in Turkish ensure your default iOS language is set to this. - Improved satellite trajectory lines when tapped. - Added ability to rearrange order of My Tours. - Added option to immediately start a My Tour after generating. - Fixed a crash some users were experiencing. If you enjoy using Night Sky a great review in the App Store is always appreciated. If we can be of any further assistance, please reach out to the team at Support@iCandiApps.com who will be happy to help. - Wave at Kepler! On December 10th we’re supporting wave at Kepler. The Kepler telescope will appear in Sky View when Kepler turns towards Earth to take a long exposure photograph. Be sure to find it in the sky on December 10th and wave! - Reduced app size, we’ve done a lot of optimizing in this update to almost half Night Sky file size on your device without loosing quality. - Full iPhone X support - Night Sky now looks great on iPhone X! - It's all sky! - User Interface gets out of the way automatically to only show the sky. Beautiful on the iPhone X Super Retina display! 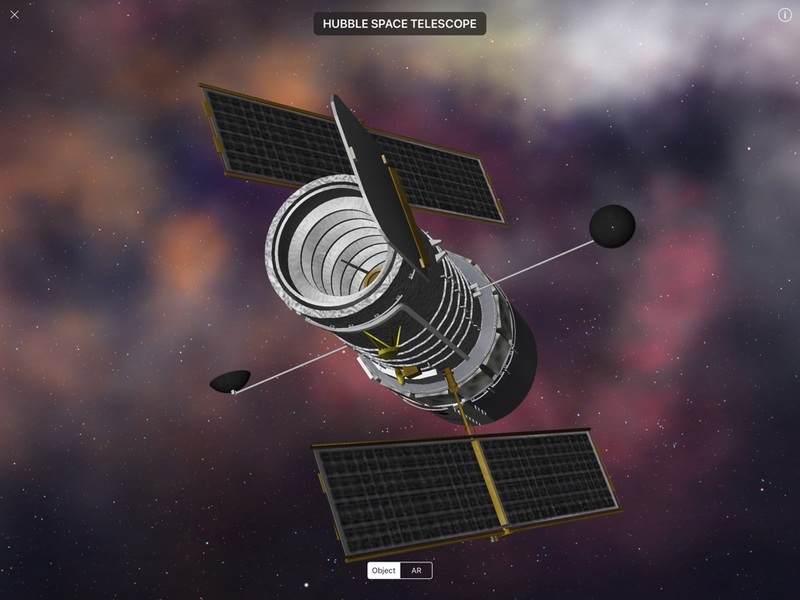 - Mars NASA missions - We've added the Mars Reconnaissance Orbiter and Mars Odyssey NASA missions in the AR Grand Orrery! Just find Mars in the Orrery and see these missions orbiting. 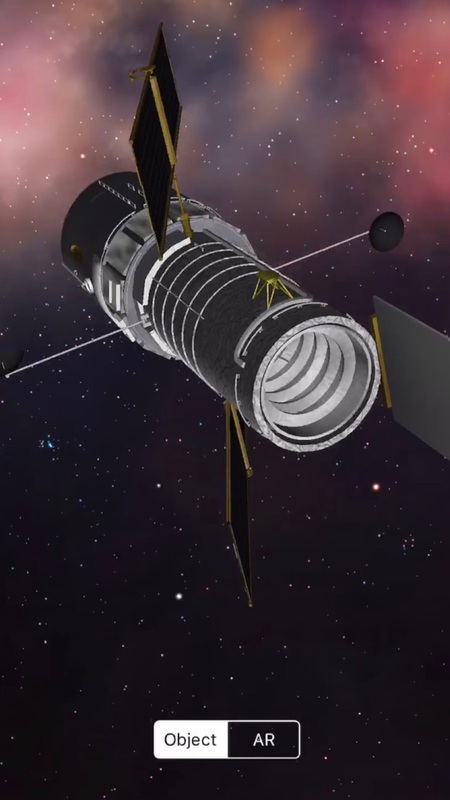 Use Space Travel to see their past trajectories all the way from the launch pad. - New Compass Alignment Tool - If you find the sky is not correctly aligned, you can fine tune alignment by tapping the alignment tool, then simply swipe left or right to fine tune alignment of the sky map with the real sky! - Iridium Satellites - We've now included Iridium satellites in the Sky View. - Improved Space Travel - We've added on screen Space Travel time and made it easier than ever to access with just one tap. - Increased use of Haptic Feedback - feel the sky! - Improved Night (Red) Vision. - Improved memory usage - Night Sky now uses far less memory on your device when running. If you enjoy using Night Sky, a great review on the App Store is appreciated. If we can be of any assistance, please reach out to the team at Support@iCandiApps.com, who will be happy to help. 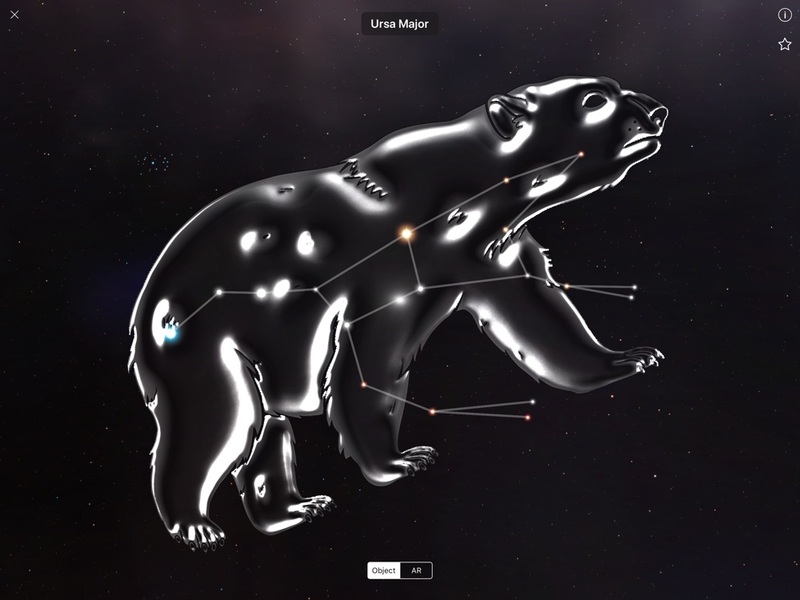 5.0 - Night Sky 5 is a powerful augmented reality personal planetarium. Designed for iOS 11. - Latest News (Premium Feature): Get regular updates about the Night Sky above from our very own astrophysicist and Night Sky Editor. Launch Console Three21 Creative, LLC. Guide for Animal Crossing NL JRustonApps B.V.